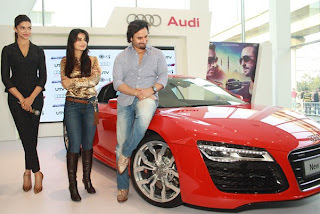 Audi R8 V10 Plus is a Lighter and more powerful than the R8 V10 , the Audi R8 V10 plus Coupe is unmistakeably a driver’s car.. Audi India has launched the Audi R8 V10 Plus in the Buddh International Circuit at New Delhi. The Audi R8’s V10 engine has been boosted from 525PS to 550PS and weight reductions have been achieved through standard bucket seats, CFRP elements (including the front spoiler lip and rear diffusor) and powerful ceramic brakes, delivering an improved power-to-weight ratio. The actual pricing details of the lighter and more powerful new Audi R8 V10 Plus is yet to be revealed, but we expect it to be tagged around Rs. 2 crore. 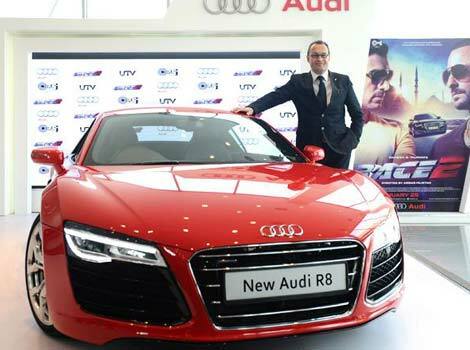 The R8 V10 Coupe was earlier launched at Rs. 1.57 crore, but after budget session the hike in import duties made it costlier, now it is priced at Rs. 1.81 crore.